“Melaleuca”, by Frank VanderSloot and found at melaleuca.com, is a multi-level marketing health and beauty aids company that focuses on recruiting downline recruiters more than selling its product. It would just barely brush the border of a pyramid scheme if it wasn’t for the actual product being there. Stating right from the start that I could not throw a cyber rock two virtual feet before finding a multitude of complaints, rip off site reports, and negative reviews about Melaleuca, its cult like reps and allegations of the product being unsafe. These can be red flags to be wary of, but mostly, the primary issue we have with businesses like Melaleuca is that the majority of people that get involved in mlm business “opportunities” never succeed at them, and Melaleuca is no exception. Many complaints about Melaleuca deal with sales team misrepresentations when trying to recruit people, but some of the most disturbing issues registered online have been of actual unauthorized charges made to the credit card people used to get involved with the company. Money spent with no forthcoming products was the next most daunting issue I found complained about by enough people for it to be worrisome. Next problem was Melaleuca reps taking the money and calling it a consulting fee after they told you initially it was to buy your first line of product. Then there are grievances about people cancelling their involvement with Melaleuca, yet still getting charged by them on their cards for months and months after. Several of the Melaleuca products actually list warnings of being hazardous to your health, as well as danger of toxicity. 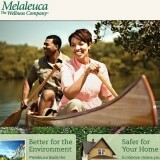 Melaleuca Reps are told not to say Melaleuca products are non-toxic, but to say they are non-caustic. This is more an issue of integrity. However you slice it, Melaleuca is definitely not a business we recommend. Not at all in any way whatsoever.